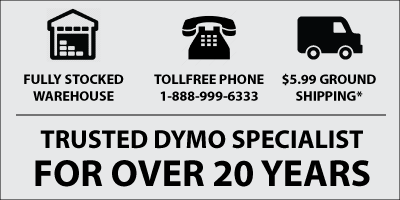 100% guaranteed not to void your Dymo warranty. Made by Dymo. Return Address Labels are compatible with all Dymo and CoStar LabelWriters. We have been buying these labels for years and they work great; we use them to print product labels with UPC codes using the Dymo Labelwriter printer. We've never had a quality issue. And, the service from Label City is awesome! we have ordered these stickers for years and have never had any quality issues. We've used these labels for years and have always been pleased. They print smoothly, and last a long time. These DYMO labels are DYNAMITE! I've been ordering these label from Labelcity for several years. I own a boutique and we use these with the Dymo Labelwriter 450 to create a barcode/pricing label for every item. High quality. So easy to use and install. Easy to remove from the paper backing, as well as from the item once we've priced it. I've tried other brands and they're not easily removable and leaves a sticky residue behind. Not these! Plus, Labelcity has the best customer service and fastest shipping!